A great series continues. Harry keeps you guessing. Once again that self destructive, self effacing, but adept cop, Harry Hole, engages in investigating a crime which has implications to many of the powerful folks in Norway. I like his humanity but have no patience with his ambivalence with drink and women. I miss Oleg and Rakel and can't figure out why Harry couldn't work harder to keep them in his life as he truly loved Oleg at least. I wish the relationship with Moller had more dimension. I learned more about the Salvation Army than I knew before. I also learned that, if I ever visit Oslo, it will be in the summer. 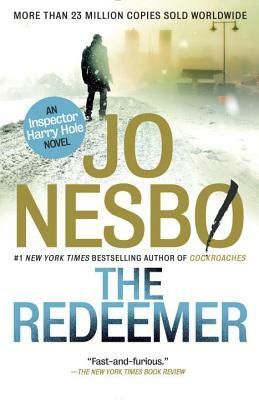 Overall Mr Nesbo is wonderful in his descriptions of character, plot, and what things make people do what they do. This is a very good read even though the title pushes the issue somewhat. The author makes Scandinavia seem like a very depressed place to be. Harry keeps on being himself, but you do wish he'd cheer up a bit.